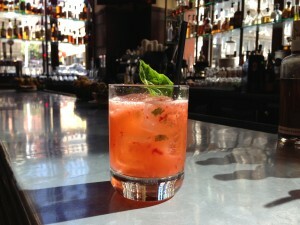 Muddle the strawberry and basil. Add in the remaining ingredients and shake. Serve in a rocks glass over ice. Garnish with a bruised basil leaf.